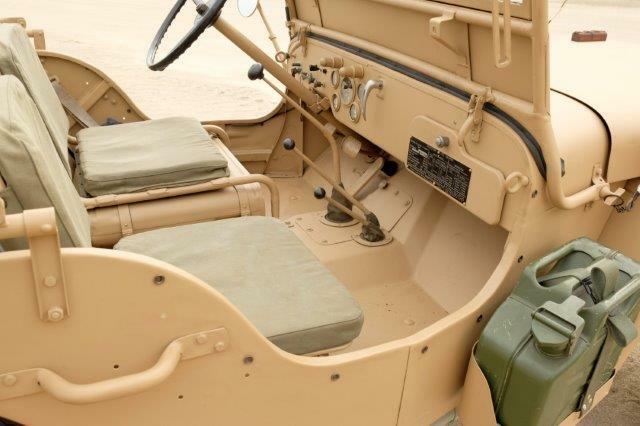 Albrecht presents us his very rare French Hotchkiss M201 “Sahara” which has just been completely restored and brought back to its original condition of 1957. 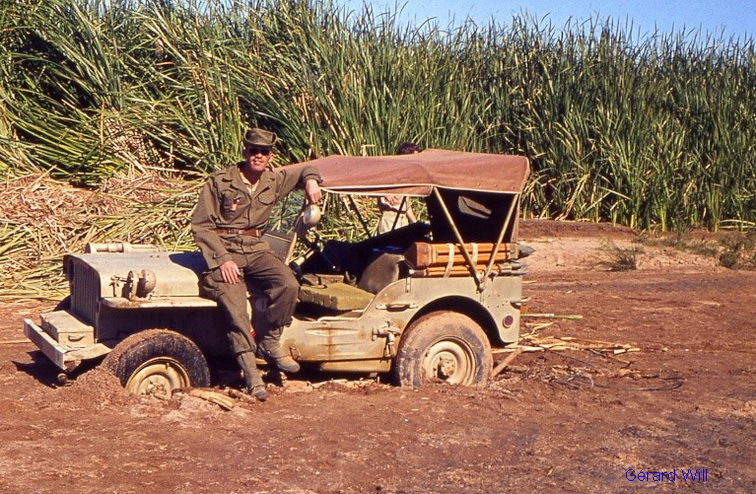 In 1945, after the German defeat, the French Army got hold of some 20000 American Jeep Willys MB and Ford GPW to equip their newly formed units. 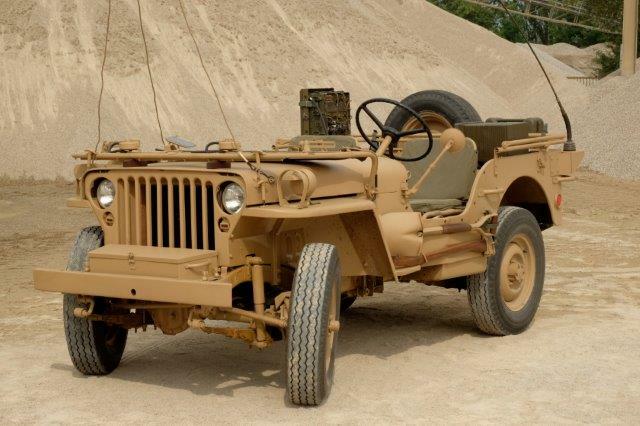 These vehicles were worn-out veterans of WW II. Now they served with the French in Europe as well as in the colonies, Indochina and Algeria. They needed intense service and they were not genuine French; these two factors led to the attempt to develop a French light liaision car or VLTT (vehicule de liaision tout terrain). But neither Delahaye nor Peugeot could convince with their concepts. So in 1955 the French decided to produce the Willys MB in licence. 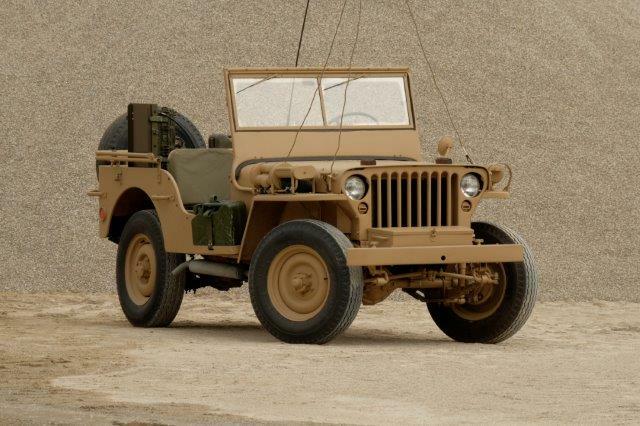 The company choosen for production was Hotchkiss, hence the name, and project was called Jeep Hotchkiss licence MB, later changed to M201. 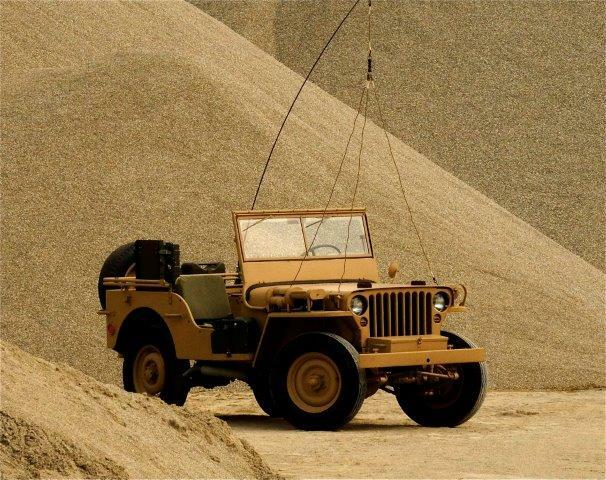 Due to licence arrangements, the parts were stamped “WOF”, Willys Overland France. Despite of some small improvements, the cars were basically the same as the American original. First produced with 6v-electrical system, later on it was changed to 12v, and to the end 24v. Production ceased in 1966 after some 25000+ examples. During lifetime, the remaining originals from WW II as well as the M201s were overhauled in a specific Army depot in La Maltournee. 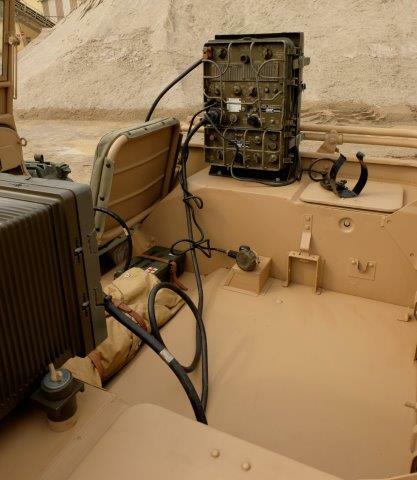 Most parts were interchangeable, so many of the French Army Jeeps show mixed features, such as mile-speedometers, WOF-engines and American generators… so they are originals of their own. 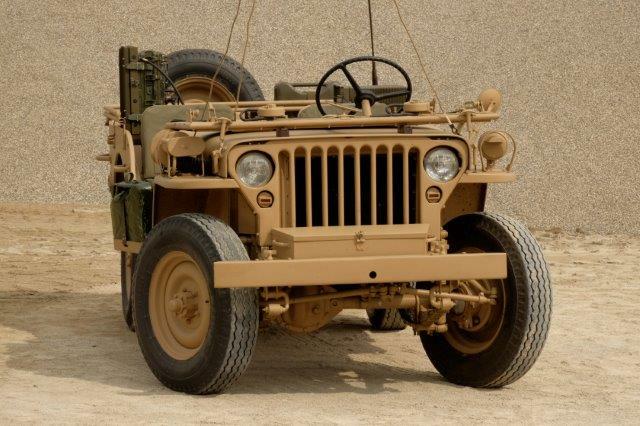 Due to the improved quality in comparison to the WW II- Jeeps, many of the present Jeeps in Europe are in fact French, only Americanized by markings or by the readily available reproduction parts. In 1957, the Algerian conflict between the Maghrebinian natives and the colonial French fulminated. 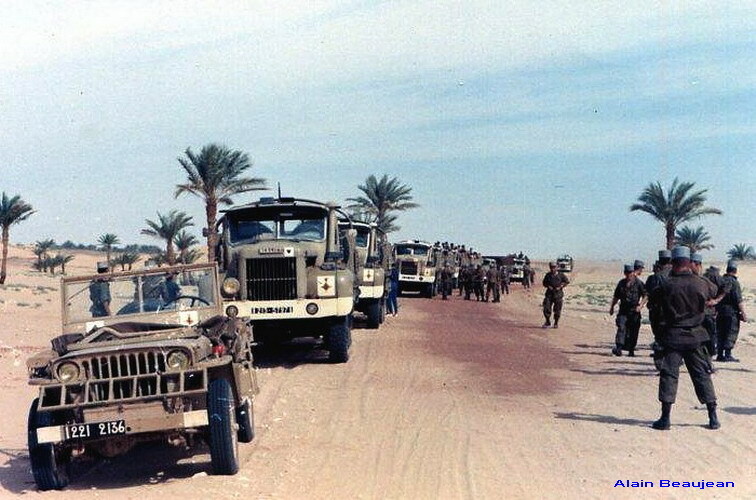 The war was brought down to the deep South of Algeria. 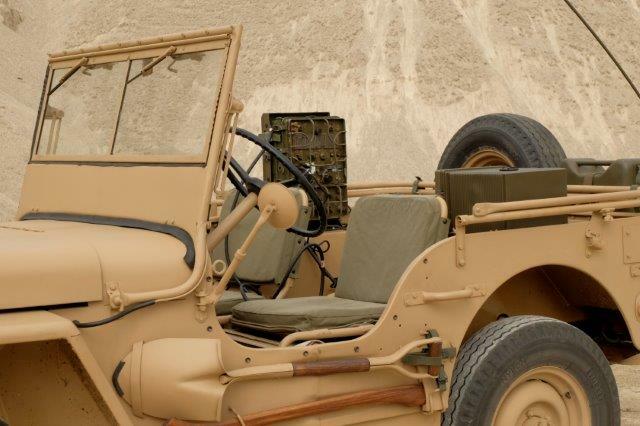 Coincidentally, the SOFIA (Societe de Fabrications industrielles et Automobiles), licence holder for WOF-parts proposed a Sahara-version of the civilian Hotchkiss-Jeep JH 101 (intended for oil exploration companies and civilian administration). 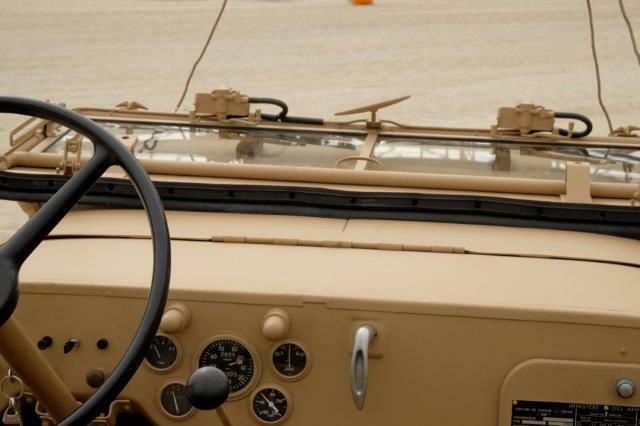 Its features were transferred to the M201: Improvements included an wing-mounted air filter, dual fuel tanks, additional electric fuel pump, 13-leave springs, sand tyres etc. 400 cars were produced from 1957 to 1959. They saw service in Algeria, and some remained there after the war. This is where the story of my Jeep starts. This Hotchkiss reputedly was left in Algeria after the French Army´s retreat in 1962. Somehow she found her way to Nigeria. Known history starts in 1988, the car belonging to a German missionaire in the Province of Kano/Nigeria. In 2006, a German shipper who was keen to get the car, at last bought it, shipped it to Germany and road registered it in Hamburg. At that time she was in red colour. In 2012, I bought the M201. Some work was carried out, engine (original WOF) and gear box were oberhauled. In 2014, I decided to restore the car thoroughly as a Sahara-lookalike. As the body was rotten, it was replaced by a zinc-coated reproduction body from the Philippines. 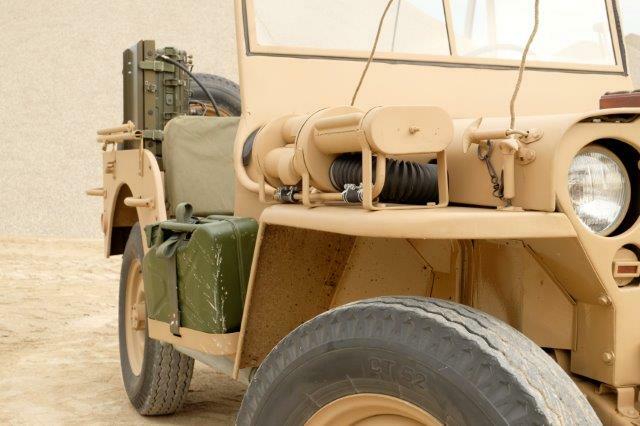 From French sources I got a reproduction wing-mounted Sahara air filter (which is combined now with an M38-airfilter) and the front toolbox, which is characteristic of the Sahara-version. I did not realize other features such as the dual fuel tank or the 13 leave-springs. 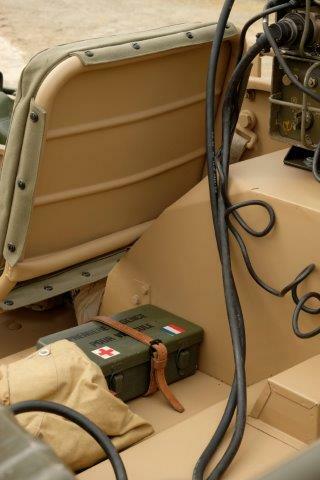 I added a period GRC-9 radio equipment, an additional jerry can holder for the obligatory French Army 10 litre-Wine jerrycan as well as half doors, which were not used by the French Army, but are very comfortable for long distance travels in cold weather… she is painted in a Volvo Beige colour, which fits somehow the colour to be seen in period colour photos. The tyres are Pirelli Cintauro which resemble the fine profile of the genuine Michelin XC. During restoration, we found the chassis number 2382, what makes her a 1957-M201. The greatest part of work was carried out by my mate Stefan Rombach; thank you, Stefan!